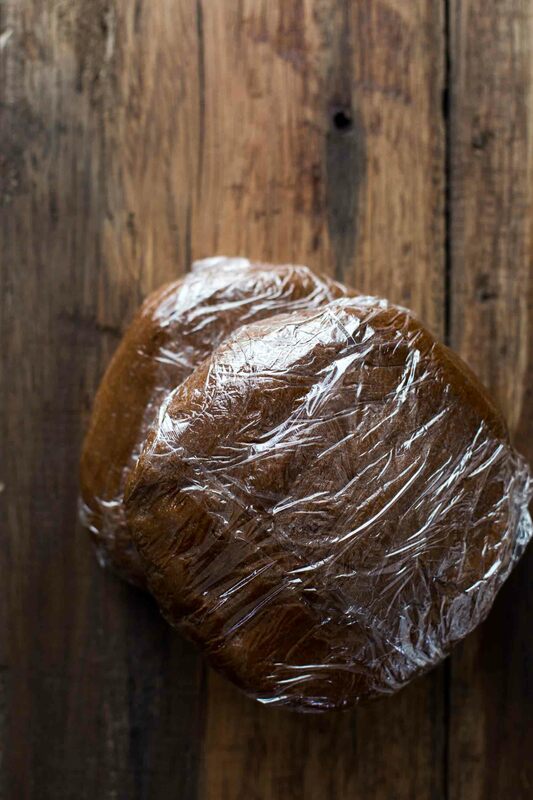 This Chocolate Gingerbread Men Cookies recipe is the best Christmas baking recipe ever. Well balanced flavors and perfectly spiced. Soft with lightly crisp edges. Finally! Guys, it’s Christmas baking season here on my blog. YAY. Christmas baking is by far the most exciting baking season a year. I don’t know how about you but I’m in a good mood, ah skip that, in an extraordinarily awesome mood, yeah that describes it better, when cutting out gingerbread men while listening to classic Christmas songs. You remember a couple of posts back where we were talking about how fast time flies by? So please enjoy every single moment in that magical time. I know, this week is Thanksgiving, so maybe your head is circling around Thanksgiving dinner rather than Christmas baking. But. Maybe I can convince you to join my Christmas baking journey even before Thanksgiving. And if not, you know, Thanksgiving is in two days. So you could start Christmas baking in three days. Right? However, starting Christmas baking season deserves a special recipe. And you maybe think now, ok Gingerbread Men Cookies are awesome but special? 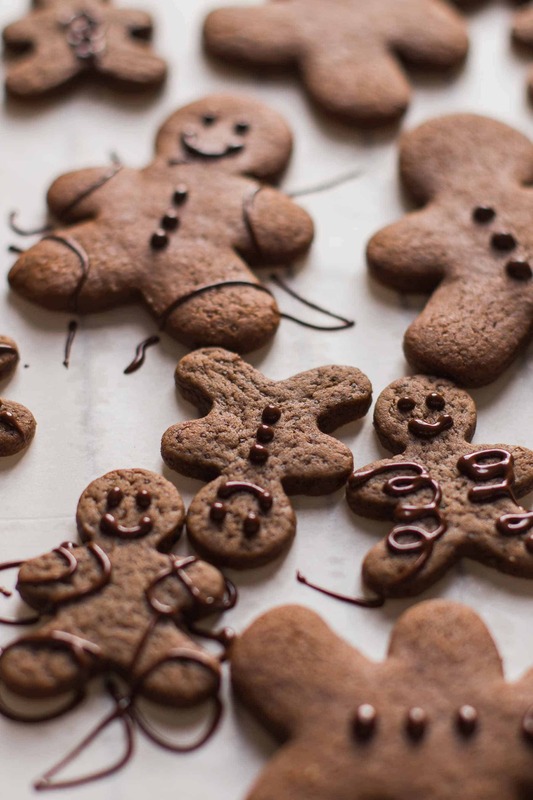 Yes, these gingerbread men are special because there is chocolate involved! 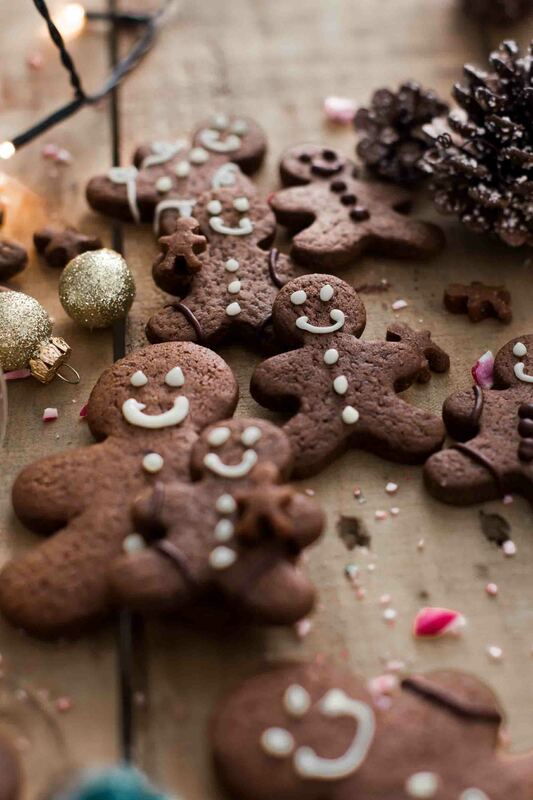 Chocolate Gingerbread Men Cookies. Woohoo. I’m so excited to share this recipe with you guys. I promise that you will love, love, love them. They are my new favorite Christmas baking recipe. But make sure to check back every Tuesday and Thursday for the next four weeks. I will share some of my favorite Christmas baking recipes with you. What to expect? Flavors like eggnog, chocolate, peppermint, cranberry, pistachio. Trust me. You don’t want to miss out on these. 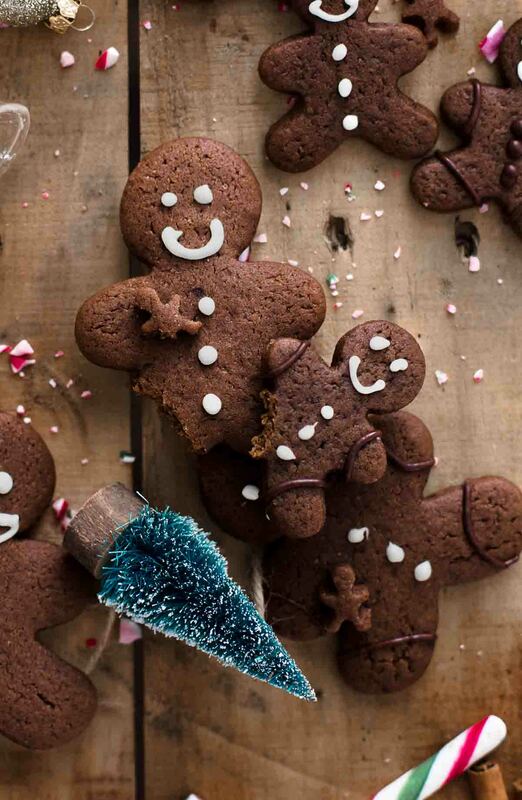 Soft Chocolate Gingerbread Men Cookies with lightly crisp edges. 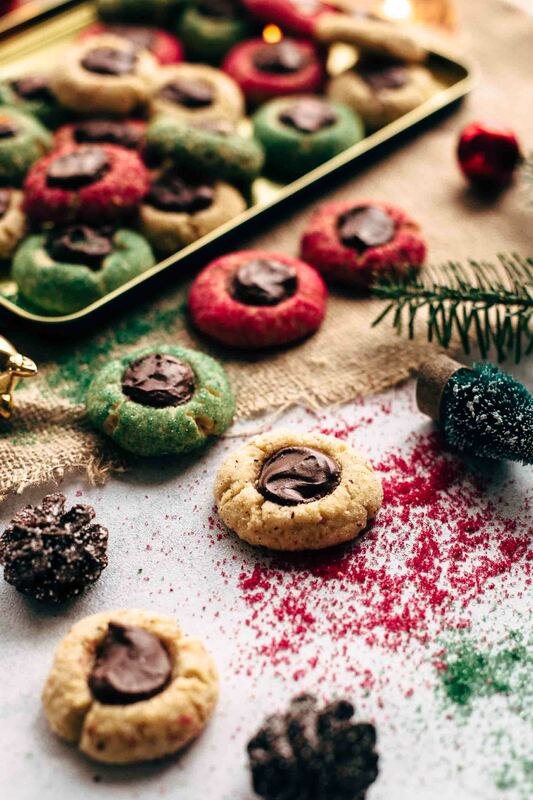 You don’t need to worry about spreading cookies. These cookies don’t spread at all. They hold their shapes as you cut them. They are soft and have lightly crisp edges. The secret to this is to remove them from the oven as soon as they lose their shiny surface. They are super soft when you take them out of the oven, and they need about 5-10 minutes when they cool down after baking until they can be moved. So take care that you don’t overbake them. The spices are in perfect harmony. Every single spice and also the cocoa and the molasses is present. The flavors are well balanced. Do you see the mini Chocolate Gingerbread Men? They are stinking cute. The cookie cutter is about 1/2 inch. I made them primarily for decoration. Think about a cup of eggnog or hot chocolate with a huge scoop of whipping cream on top. These little men are perfect on top as decoration and snack. You could also do a Christmas cake were they would be a perfect decoration. If you find such a cutter anywhere, I highly recommend to buy it. I stumbled upon in a store here in Vienna and immediately fell in love. As you can see, I did different sizes of gingerbread men cookies. I recommend using a 2, 4, or 6-inch cookie cutter. You find the baking time for all sizes in the recipe card below. I decorated my cookies with melted white chocolate and dark chocolate. But you could also use royal icing if preferred. The decoration possibilities are literally endless. 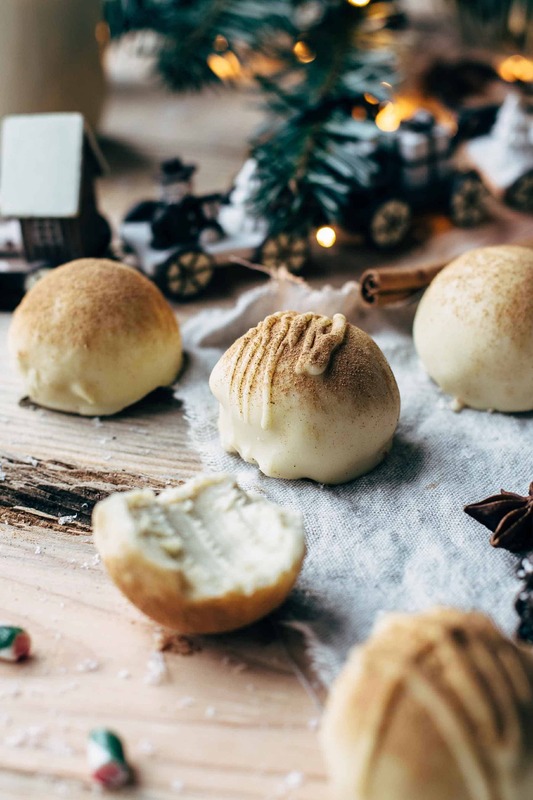 Are you in Christmas baking mood now? If you make this Chocolate Gingerbread Men Cookies recipe leave a comment, rate it and tag a photo #alsothecrumbsplease on Instagram! Would love to see your snap! 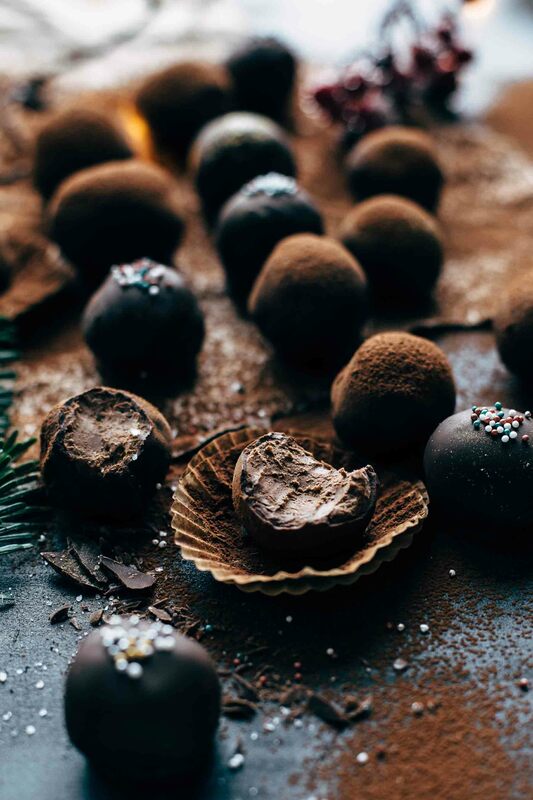 You may also like Super creamy Eggnog Truffles, Easy Chocolate Rum Truffles, Christmas Thumbprint Cookies, Best Eggnog Recipe, or click here to see all holiday baking recipes. 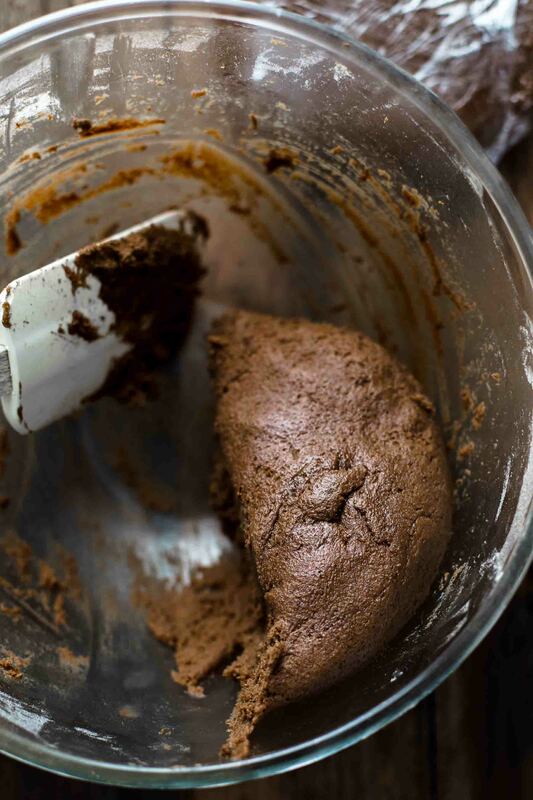 In a medium bowl, combine flour, cocoa, baking powder, salt, ginger, cinnamon, allspice, cloves, and nutmeg. Set aside. In a large bowl, with a handheld or stand mixer fitted with a paddle or whisk attachment, beat butter on medium speed until creamy, for about 1-2 minutes. Add brown sugar and molasses and mix until combined. Add egg and vanilla* and mix until fully combined. Add dry ingredients and mix just until incorporated. The dough will be sticky and thick. Give it a few kneads by hand and divide in half. Form discs and wrap up tightly in plastic wrap. Chill for at least 3 hours or up to 3 days. On a well-floured surface roll out dough discs into a 1/4 inch thickness. 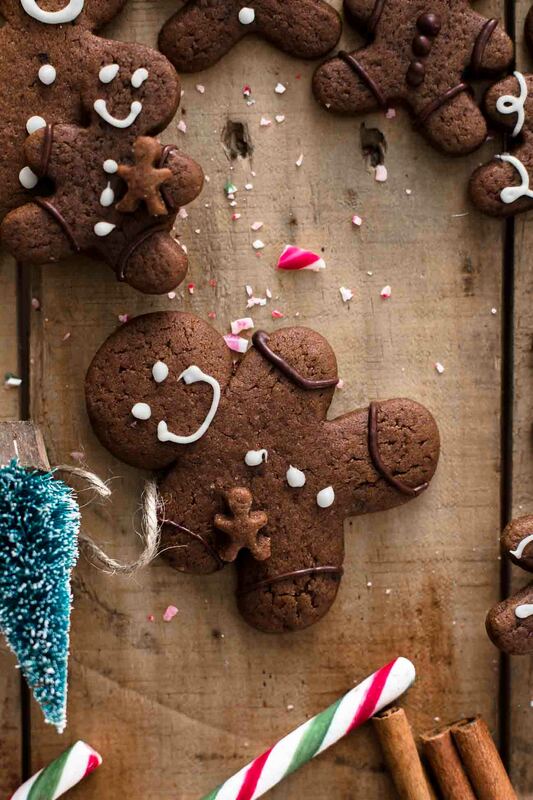 Cut out cookies with a 2, 4, or 6-inch** gingerbread men cookie cutter and place on the prepared baking sheets with about 1-inch space in-between. Bake one sheet after another. Bake 2-inch cookies for 5 minutes, 4-inch cookies for 8-9 minutes, and 6-inch cookies for 11 minutes. Allow cooling on the baking sheet for 5 minutes then transfer to a cooling rack to cool completely. Decorate with chocolate to your preference. Store in an airtight container at room temperature up to 1 week. 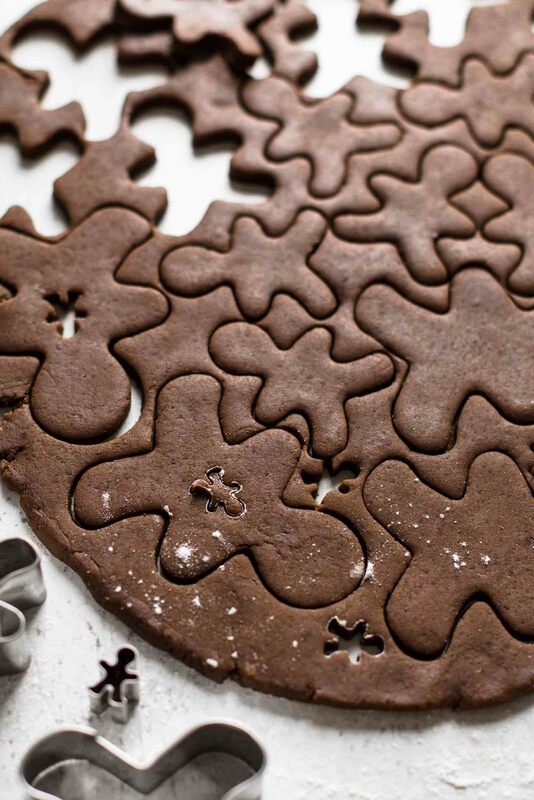 **If you have a 1/2 inch cookie cutter, then bake the mini gingerbread men about 2-3 minutes until they look matt. 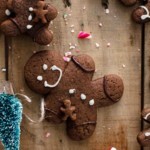 I love the idea of Chocolate Gingerbread men! I am going to make them for Christmas.. Can these cookies be frozen? Can I add honey instead of molasses as I can’t find any here or golden syrup ? Yes, you can replace the molasses with honey or dark corn syrup 1:1. But keep in mind that the taste will be completely different. Made these the other day, everybody at work absolutely loved them!! Thank you so much for sharing this recipe!!! Can I ask where you got the tiny cutter from – it is so cute!!! I need one in my life hehe! That’s so great, Amanda! I’m happy that you like the recipe. I bought this tiny cutter in a store in Vienna – Austria. It was just a small shop and is already out of business. Maybe you find it on Amazon? Made these tonight. Lovely flavour, not too strong. Chocolate flavour is subtle and overall a win. Made gingerdead men and Rudolph . I used royal icing instead of chocolate. Thank you. I’m happy that you like it. The royal icing is also a great topping for these cookies. Happy holidays!